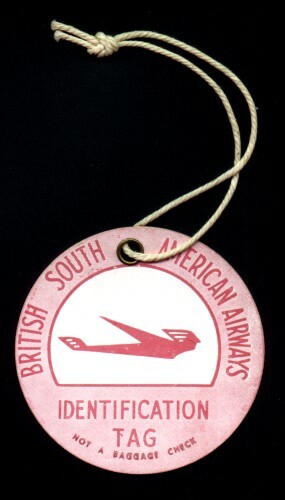 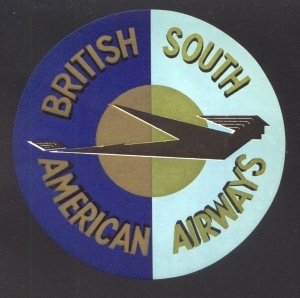 A luggage label produced for BSAA showing the 'speedman' logo and the company colours of dark and pale blue. 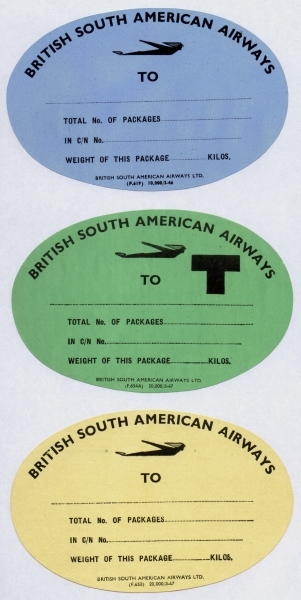 A sheet of Air Mail stickers. 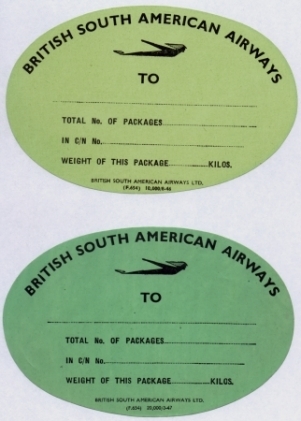 It is interesting to note that such was the importance of BSAA for air mail to South America that even after the airline ceased to exist many envelopes were still annotated "Via BSAA"! 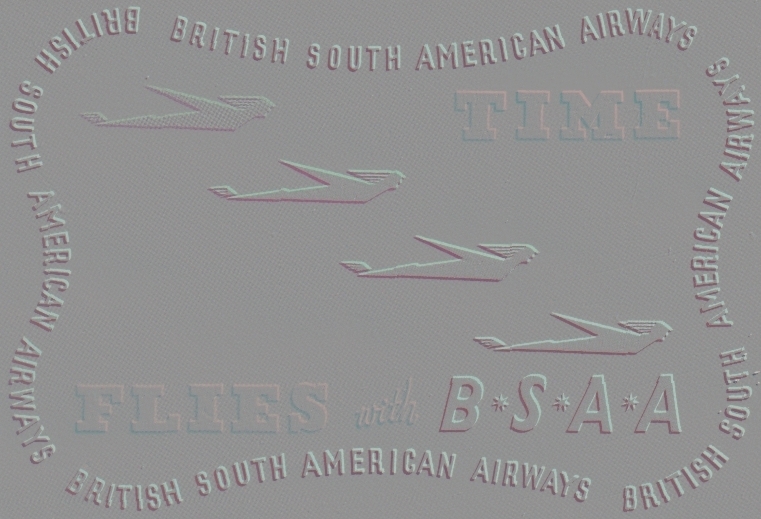 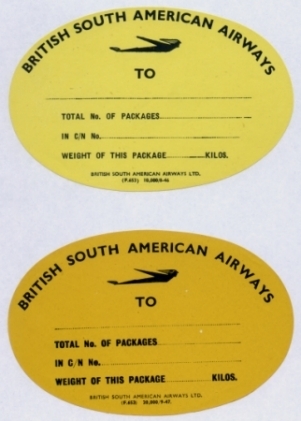 BSAA labels used by the airline for air freight. 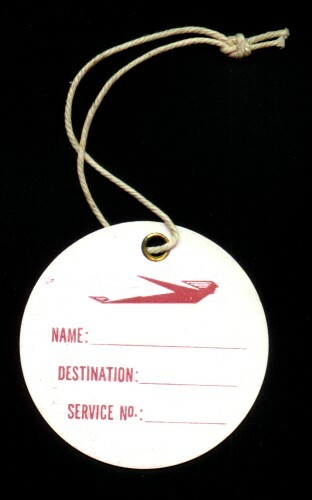 Reverse side of tag above. 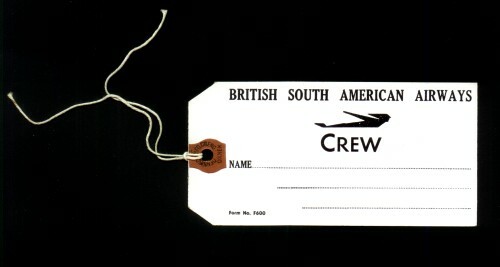 Luggage label issued to crew.